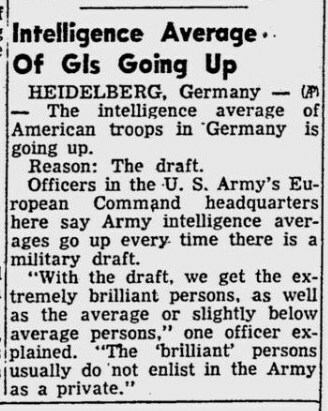 Following up on Chuck's mention of "military intelligence" in his latest column, this short article from 1951 noted the (perhaps unexpected) effect that a military draft has on the average IQ of GIs. HEIDELBERG, Germany — The intelligence average of American troops in Germany is going up. Officers in the U.S. Army's European Command headquarters here say Army intelligence averages go up every time there is a military draft. "With the draft, we get the extremely brilliant persons, as well as the average or slightly below average persons," one officer explained. "The 'brilliant' persons usually do not enlist in the Army as a private." 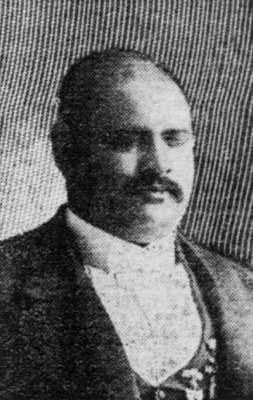 Back in 1890, when Darthula Buckner was pregnant with her son Mayo, she saw a blind piano player named Blind Boone perform. She found it frightening the way Blind Boone rolled his eyes, and she grew to believe that somehow Blind Boone had imprinted his influence on the child inside her. Because as Mayo was growing up, sometimes he too rolled his eyes. Mayo was also a bit shy, and he ate his food fast. This was too much for his mother, who decided he needed "special management" and took him, at the age of 8, to the Iowa Home for Feeble-Minded Children. An official at the institute (but not a doctor) took one look at Mayo and declared he was a "medium-grade imbecile." And so began Mayo's new life as an inmate in a mental institute. When he reached adulthood, Mayo frequently told the doctors that he felt he was perfectly sane and would like to leave. But this request was always denied. And since he was so often told he was feeble-minded, he eventually came to believe it. Until a new superintendent arrived at the school, tested Mayo, and told him that not only was he perfectly sane, but he also had a higher-than-average IQ of 120. So he was free to leave. But by that time it was 1957 and Mayo was 67 years old. He had nowhere to go, so he decided to stay. He died there in 1965. 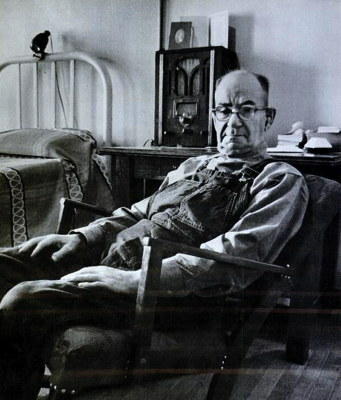 Read more about the strange life of Mayo Buckner in this Life magazine article from Mar 24, 1958.